Although the online casino industry is just 20 years old, it has already undergone tremendous advancements – one of the most significant being the development games for smartphones, tablets and other mobile devices. Microgaming was one of the first to provide casino games to this burgeoning new market. Without the necessity of being tied to a desktop computer or carrying a laptop everywhere, Microgaming smartphone casinos and other mobile device based casino sites offer true flexibility. And gamers are responding. Figures published by Juniper Research showed that as of 2015, mobile gamblers accounted for a over 50% percent of all revenues for the UK gaming industry – and this includes both online and land based operations. 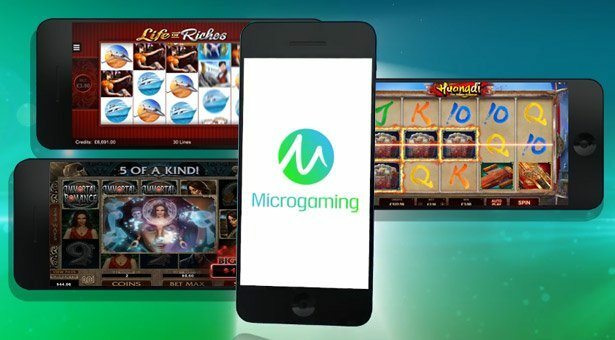 Microgaming has been first to market with the best mobile casino features and with over 300 mobile games they lead the industry in mobile game innovation. Below is a list of all Microgaming mobile casinos. You will notice that some of these exclusively use the Microgaming platform, whilst others offers a mix of games. Although of course there are some differences depending on the platform your device uses, you can play an amazing list of games. Microgaming in general is known for its huge gaming portfolio, and Microgaming mobile casino games live up to expectations in this area. Choose from a wide array of slots, table games, video poker and more. Progressive jackpot games are on offer as well – in fact, Microgaming was the first to offer progressives for mobile. This is a top favorite feature slot with good reason. Free spins and 2 multipliers can lead to amazing payouts. Like to get your hands on lotsa moolah? Microgaming has packed a punch in this slot 4 levels of progressive jackpots. The bonus game gives rich rewards in this exciting slot. 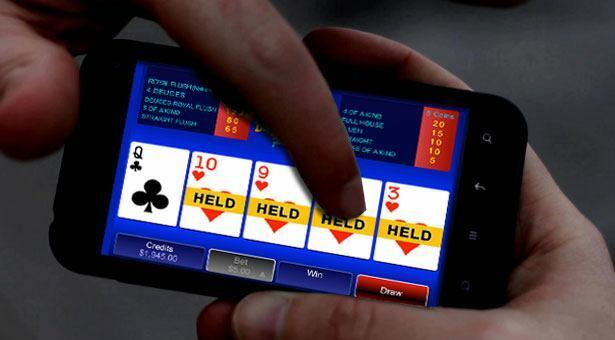 The gaming industry has acknowledged Microgaming / Spin3’s leading role in mobile gaming. Prestigious awards earned by the team over the years include ME Award for best gambling systems company, Future Mobile Awards gold medal for mobile gambling, Mobile Content Awards gold and Mobile Supplier of the Year at the 2010 EGR B2B Awards. Some of the biggest online gambling brands in the world, including regulated markets, major bookmakers and large independent gambling companies, are Microgaming mobile casino licensees. While there are no formal figures, we estimate that Microgaming has the largest online casino game penetration of all software providers. The rapidly evolving new technology behind mobile gaming has moved forward to the development of mobile applications for Android and iOS platforms. Microgaming / Spin3’s latest innovation is HTML 5 “swipe and tap,” which allows players to access games directly from their browsers, without the need for downloads from app stores. HTML 5 has a number of advantages – notably, fast, cheap game development via its cross-platform capabilities and visibility to search engines. For Blackberries and older smartphones, Microgaming continues to offer a range of Java based instant play games. For more modern mobile devices, Microgaming’s native applications are available to be downloaded from app stores, such as iTunes or Google. And the company’s HTML 5 gaming solutions allows cutting edge, play for real money games to be played through the mobile browser. Whichever device you own, Microgaming makes it easy to get set up to start gaming, with up to date device detection technology. Its mobile casino platform is integrated with the desktop version so that you can use the same account on both platforms. The developer is mindful of the limitations of the smaller screen size inherent in mobile devices. In addition, you can make simple deposits to and withdrawals from, your casino account via your mobile. Game Wire is a wireless technology delivery platform, powered by Microgaming. It delivers a suite of deluxe, highly playable games to customers, with top notch graphic quality and ease of play. Microgaming provides a number of attractive alternative approaches for operators already in the gaming business. Move from land based casino operation into mobile, from online casino operation into wireless, and from traditional, no longer profitable, lotteries into lucrative new interactive mobile gaming versions. Play your favorite Microgaming powered video poker games online or on your tablet, smartphone or iPad. Life of Riches, Immortal Romance and Huangdi the Yellow Emperor are the three new mobile slots by Microgaming next month.